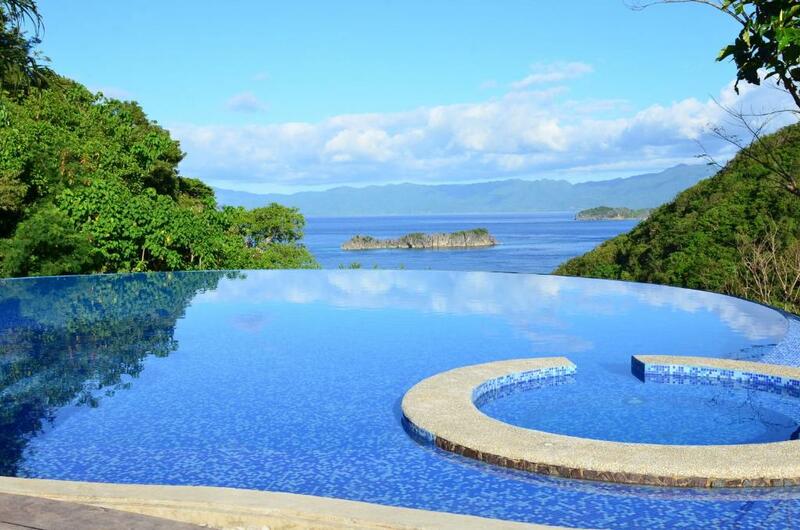 Lock in a great price for Tugawe Cove Resort – rated 8.8 by recent guests! This is by far the best resort I have ever stayed at, the location was literally paradise the staff was exceptional and attentive the available activities were well worth the minimal cost, we island hopped and snorkeled coral reefs hiked to the tallest peak of the island for an amazing sunset. I will be returning to Tugawe Cove on my next available vacation for a longer visit soon. The staff were really hospitable. the island hopping and beach hopping were my favorite activities. 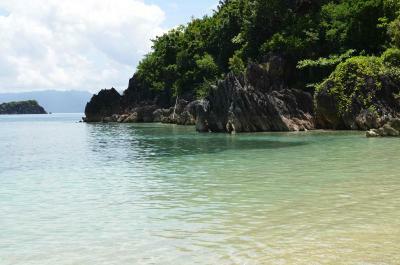 The islands and Caramoan as a while is such an amazing place that everyone should experience. The view from the pool is amazing. Everyone should try going up to the lighthouse. If you do book tours and activities in the hotel look for Gerald. He takes wonderful pictures and is really patient. The food was great. The room very nice and clean. There was a Butler for us, who was very good at it. Their island hopping tour was very nice. Le personnel est vraiment a nos petits soins , SUPER ! et quel acceuil ! merci Pimkie L'endroit est magnifique .Il n'est pas facile d'accès mais ce n'est pas un problème car le personnel met tout en place y compris le transport vers l'hotel. Juste ; peut etre , les bungalows commence un peu a vieillir. 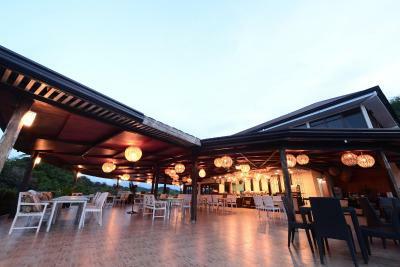 Tugawe Cove Resort This rating is a reflection of how the property compares to the industry standard when it comes to price, facilities and services available. It's based on a self-evaluation by the property. Use this rating to help choose your stay! 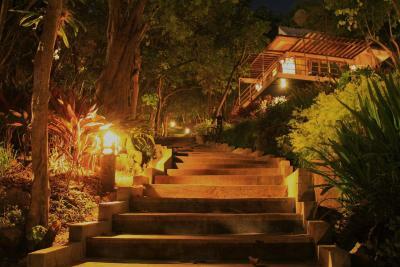 A wooden bridge leads guests to Resort Tugawe Cove. It has a private beach area and an infinity pool which overlooks the sea. 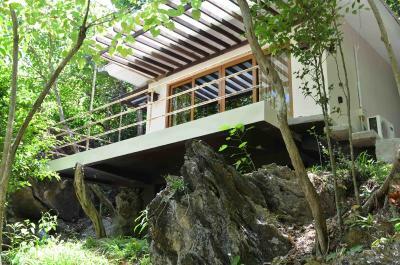 Nestled within limestone hills, there is also a lake which runs through the property. 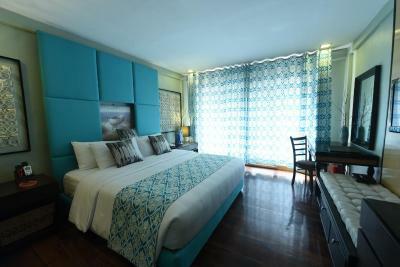 Providing breathtaking views, the rooms are also spacious and fully air conditioned. 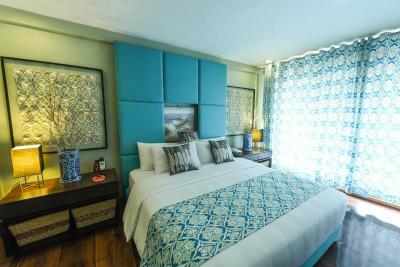 They have large balconies with comfortable seating areas and luxurious bathroom facilities. 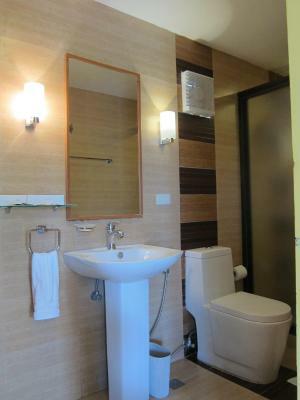 The rooms come equipped with 32-inch flat-screen TVs, a DVD player and free toiletries. Tugawe Cove Resort features a light house. 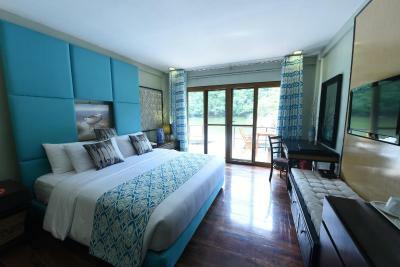 The resort also provides island hopping tours, as well as, kayak and jet ski rental facilities. 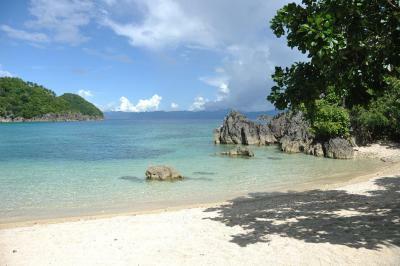 Other recreational options include hiking, snorkeling, billiard and fishing. Guests can also enjoy relaxing massages. 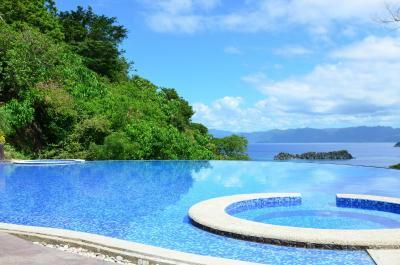 It takes a 2-hour boat ride and an hour’s drive from the resort to Pili Airport. 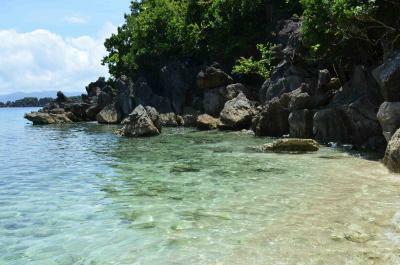 Alternatively, guests can take a 45 minute boat ride and an hour’s drive to Virac Airport. The restaurant serves local specialties. It also has an international menu. 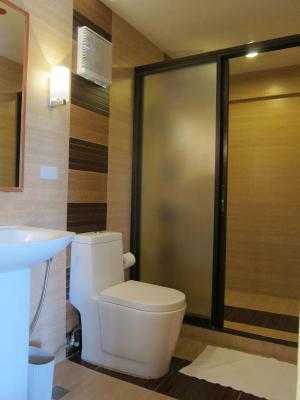 Guests can also enjoy their meals in the privacy of their rooms. 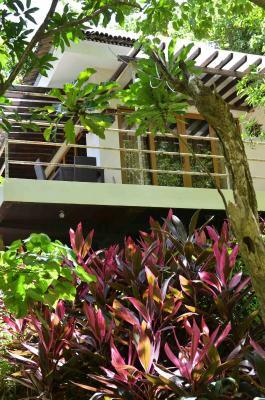 This property also has one of the top-rated locations in Colongcocon! Guests are happier about it compared to other properties in the area. 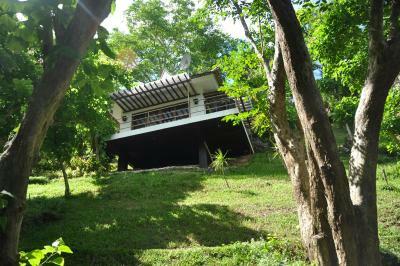 This property is also rated for the best value in Colongcocon! Guests are getting more for their money when compared to other properties in this city. 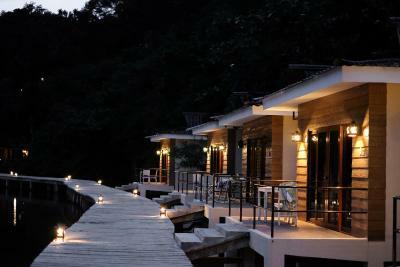 When would you like to stay at Tugawe Cove Resort? Provides breathtaking sea views and has large balconies with comfortable sitting areas and luxurious bathroom facilities. They are spacious and fully air conditioned. Provides breathtaking lake views and features large balconies with comfortable seating areas and luxurious bathroom facilities. They are spacious and fully air conditioned. 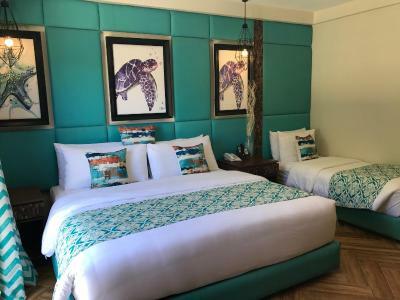 House Rules Tugawe Cove Resort takes special requests – add in the next step! Tugawe Cove Resort accepts these cards and reserves the right to temporarily hold an amount prior to arrival. The hotel accepts Paypal and Bank deposit only. Upon booking, the hotel will contact guests directly with more information. Please inform Tugawe Cove Resort of your expected arrival time in advance. You can use the Special Requests box when booking, or contact the property directly using the contact details in your confirmation. The place was so relaxing and peaceful. The location is very secluded and there is no landway to go anywhere. Basically you are pretty much locked in there in the resort. The boat to go anywhere is expensive, and is not included in the high price. And its not available at night. There is no food at all at nighttime. Which we did not expect for that high price of accomodation. U cannot buy something outside coz there is no place around. Food wasn't good. Too expensive for how it tasted. Takes a while to get from the airport to the hotel.